Next time you're in the Caribbean, go with NÜ Car Rentals. Car rental in St. Maarten is easy, cheap, and hassle free with NÜ Car Rentals. Our St. Maarten rental car will get you to the many beaches, restaurants, bars, and cultural attractions that St. Maarten has to offer. 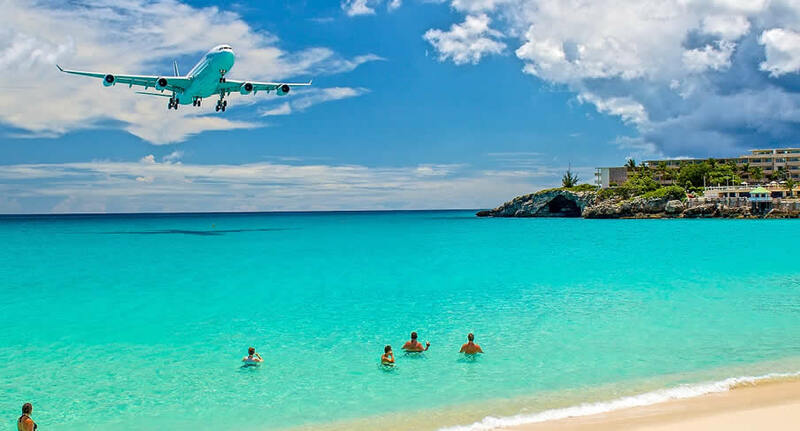 Like most Caribbean destinations, St. Martin and St. Maarten is wonderful for relaxing in the sand or playing in the waves, but families take note: St. Martin's beautiful beaches are clothing-optional (especially the tourist favorite, Orient Bay). Visitors will find bathing suit-clad sunbathers along Simpson Bay and Maho Bay on the Dutch side. Also make time for away-from-the-shore activities -- hiking through Pic du Paradis, playing the tables at Casino Royale, or shopping for duty-free deals along Front Street are great options. Finding a rental car in St. Maarten shouldn't be a hassle. That's why NÜ Car Rentals makes it easy to get a car rental in St. Maarten. Whether you are going to the rolling green hills of Colombier, or the sweeping beaches of Grand Case, NÜ Car Rentals and St. Maarten airport car rental have the car you need. Make your dream vacation complete today with a worry-free St. Maarten car rental from NÜ Car Rentals, and hit the road!